It’s being called by the critics ?A major musical triumph, magnificent?. 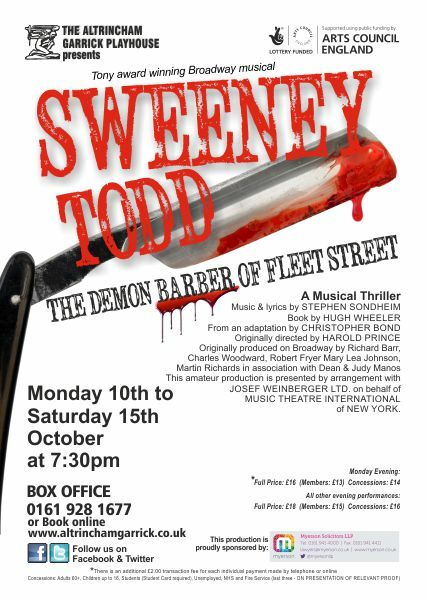 I am of course referring to the macabre masterpiece of Stephen Sondheim known as ?Sweeney Todd The Demon Barber of Fleet Street? which opened last night to rave reviews. If you were thinking, ‘I don?t think we?ll bother’ or ‘I?m not a fan of Sondheim’, please don?t let that put you off from seeing this incredible production. If you?re looking for exquisite quality in acting, singing and staging look no further than Barrington Road in Altrincham, not the West End not even Manchester but at your Garrick Playhouse. I promise you will not be disappointed, this is a production to remember. 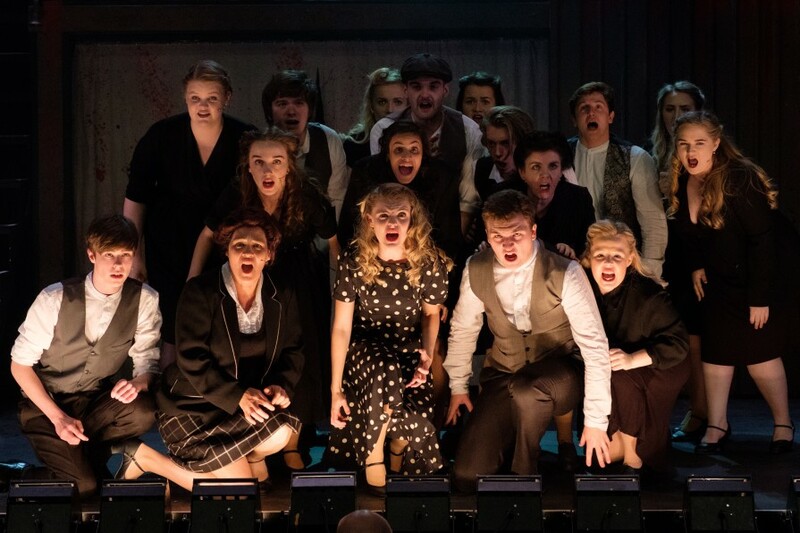 Tickets sadly are available every night until Saturday so please support this wonderful cast and crew they deserve it. THE two leads in this fabulous musical certainly come up with a business plan with a difference and as distasteful as it is, the audience can?t help laughing, albeit uncomfortably at times. It?s impossible not to have a giggle, to be seduced by the show?s jet black humour. How sad then, that a production of this quality played to a half empty theatre on Monday night. Frustrating for all concerned, particularly for former executive producer Paul Kerrryson who makes a welcome return to direct with distinction Sondheim?s macabre masterpiece. They should re-christen Kerryson Mr Musicals, for it?s a theatrical genre in which he consistently excels. Musicals live or die by their leads and in Wayne Holt and Laura Chandler, who play Todd and pie shop owner Mrs Loveitt respectively, the Garrick have a dream duo. Wayne gives the audience the creeps even when exchanging pleasantries with his customers and the ?demon barber? is a truly imposing and intimidating figure. The scene I particularly enjoyed is the one in which Mrs L tries to bring out the romantic in the vengeful Todd. Holt and Chandler play this to perfection and for me, this is Laura?s finest hour on the Garrick stage. She?s a real credit to her late dad Terry, whose acting gave me decades of pleasure at this particular playhouse. If you aren?t a convert, it may take time to warm to Sondheim?s genius, as the music can be difficult, the lyrical wordplay intricate. Once converted, there?s no going back and singers like Chris Wagstaff, who plays the lovesick Anthony, and Sara Grace Nelson, who plays the apple of his eye, Joanna, are sure to boost the legion of Sondheim fans. On stage they are mesmerising, and Sara Grace has a voice so pure it?s sure to set many a bottom lip quivering. It did mine. A major musical triumph, that simply must not be missed. Magnificent. NEVER has murder been more gruesome than in the Garrick?s musical, Sweeney Todd, the Demon Barber of Fleet Street. 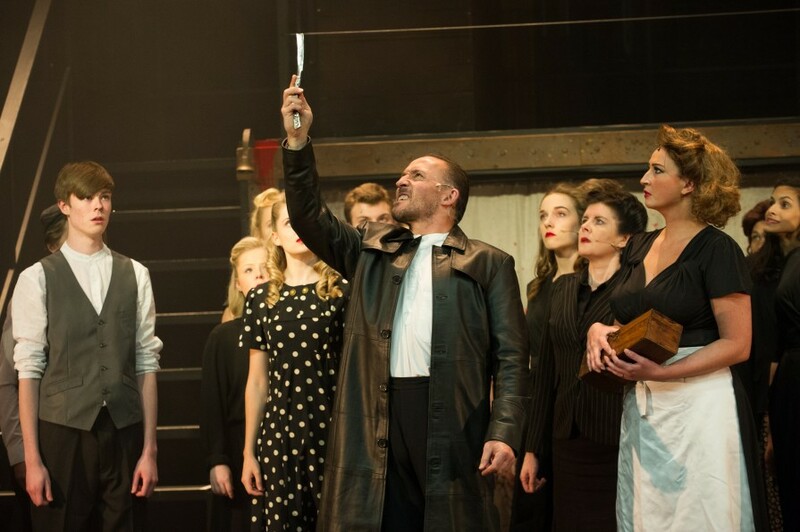 ?To use a pun, the cast make mincemeat of Sondheim’s?s difficult, strident music and the professional direction of Paul Kerryson, ensures the ?playhouse? maintains its reputation for good musicals. ?Sweeney Todd, played forcefully by Wayne Holt, really is a demon. He?s a menacing presence but can win you over with his deep baritone voice. ?Let him shave you at your peril ? for you will end up travelling dead down a brilliantly contrived shute, to the baker?s shop below. 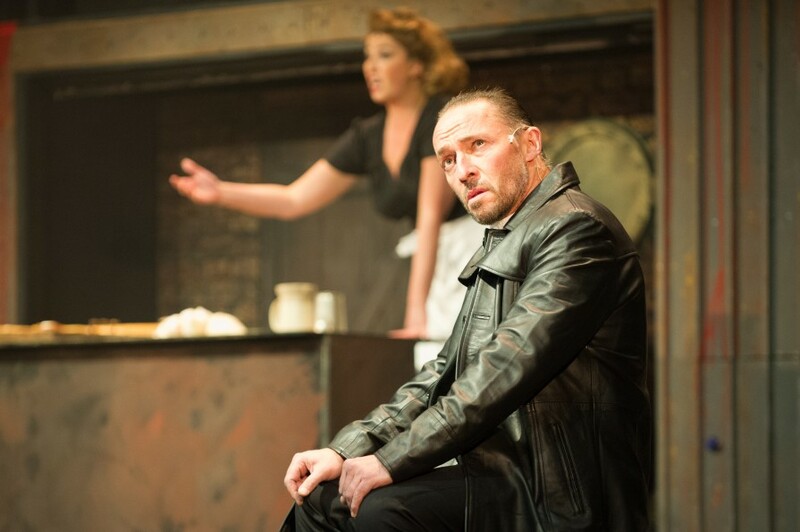 ?You?ll become the main ingredient of one of the comical Mrs Lovett?s delicious pies. When Laura Chandler sings The Worst Pies in London, it adds spice to her concoctions. ?A third employee is kitchen assistant, Tobias Ragg. Joseph Dillon, 16, who has a lovely voice, plays him as na?ve and almost driven mad by what he sees in the business-like death factory around him. ?The murdering starts because Sweeney wants to avenge Paul Wilson?s unfeeling and lecherous Judge Turpin who wrongfully exiled him. Worse still, Turpin?s the guardian of Joanna, Sweeney?s daughter. ?It is Sara Grace Nelson who, as Joanna, sings one of the show?s most beautiful songs, Green Finch and Linnett Bird.The Mark Goggins orchestra are good but, occasionally, overpower the singers. Despite this, it?s another five star production for the Garrick.